Promacks Farm – Page 4 – Family. Fresh. Local. 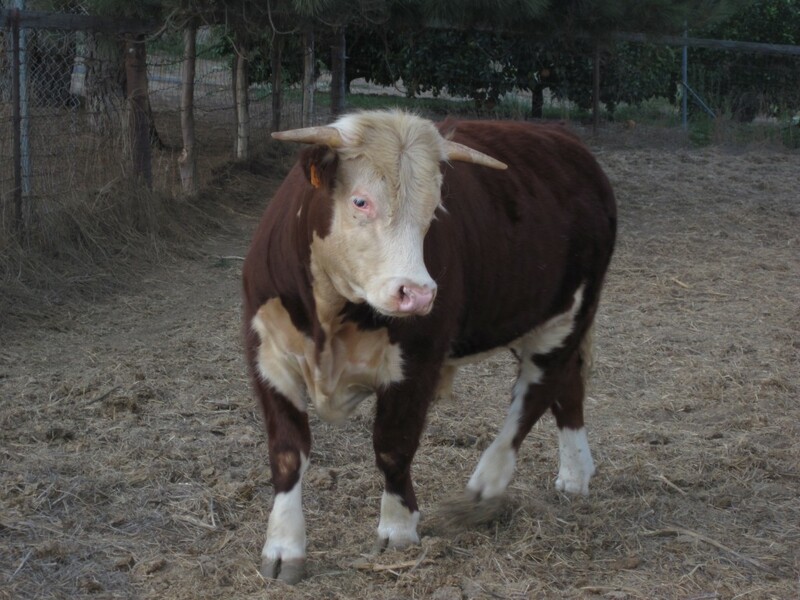 We recently acquired a young cow to raise on the Farm. 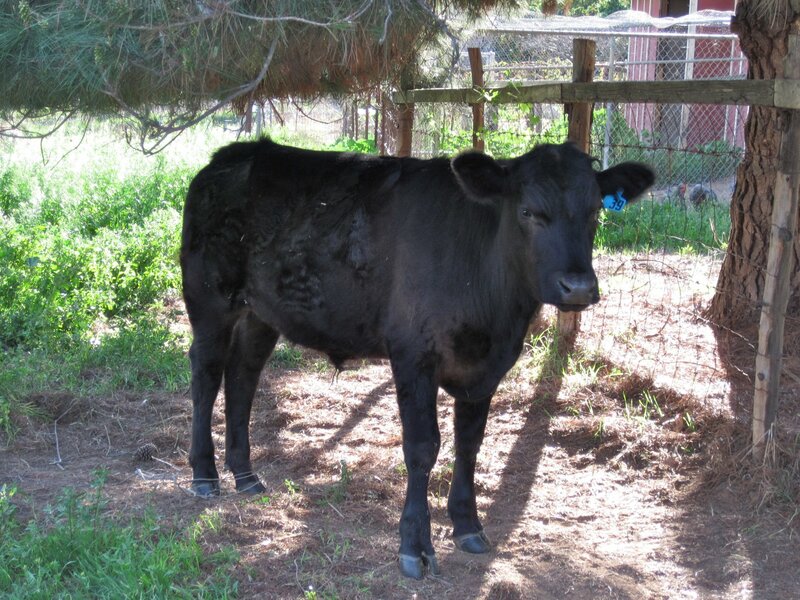 We are lucky to know a rancher out in Valley Center and took a trip out to his 900-acre farm to pick out our 2012 cow. Strogy will be at the Farm for the next few months, so come on over and say hi! Along with farming our fruits and vegetables, over the past few years, we’ve been building and installing owl boxes. Above is the latest box Farmer Dave has completed and is ready to be installed by Farmer Dave. 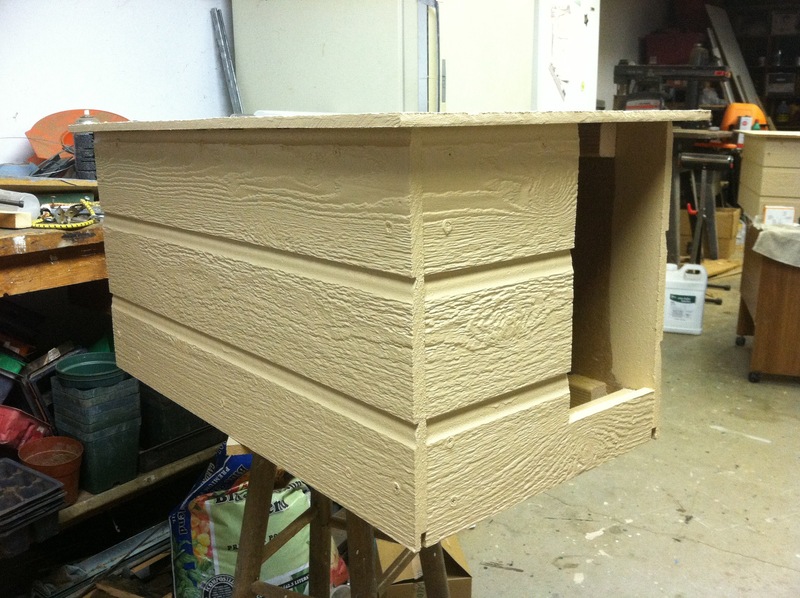 The dimensions of our owl boxes are approximately 14″x30″, and about 14″ tall. If you are interested in an owl box for your home or property, contact Farmer Dave at david[at]promacksfarm.com and your dreams of watching owls and baby owlets could be one step closer! The new box for the Olsens. Photo from Kim Olsen. 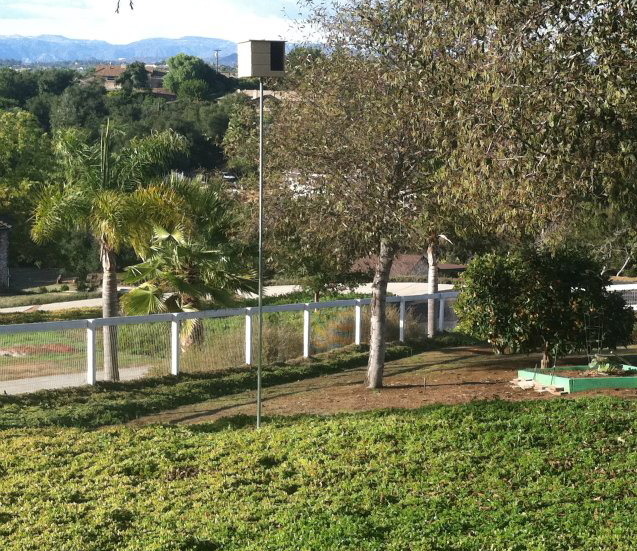 This is from our most recent box and installation at the Olsen home in Fallbrook. 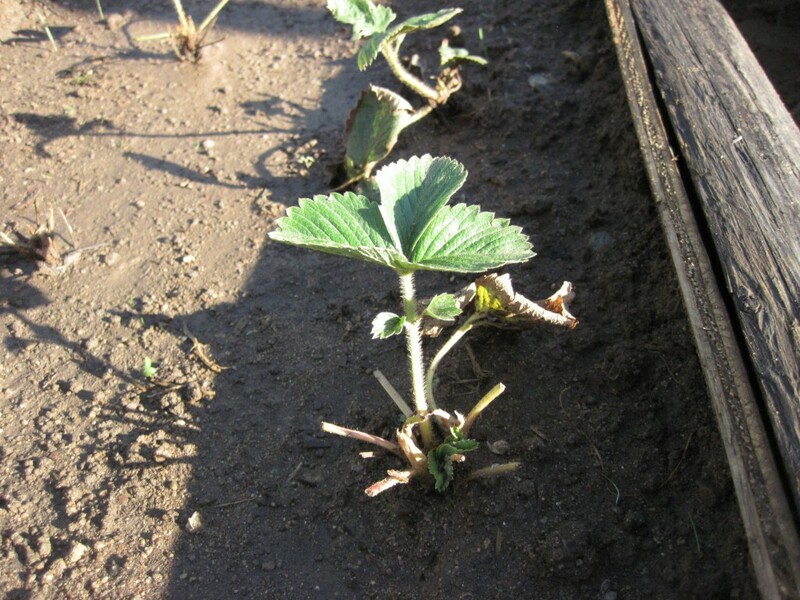 We are excited to see our first strawberries already formed – the plants so healthy this year, loving the rain and mild temps this fall. The winter garden is pretty much planted – some items for the winter such as lettuce, broccoli, spinach, and peas. 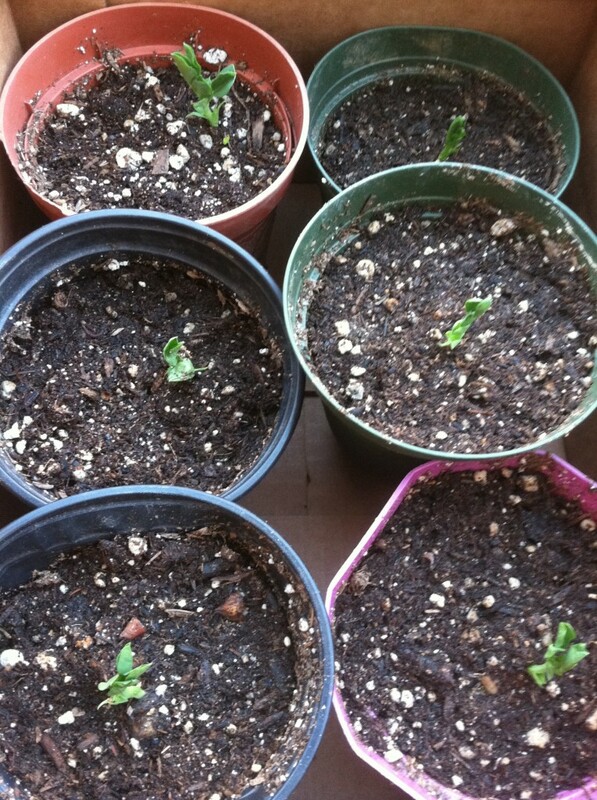 Also, we’ve been busy planting crops now that will be harvested next June such as onions, garlic, carrots, and celery. 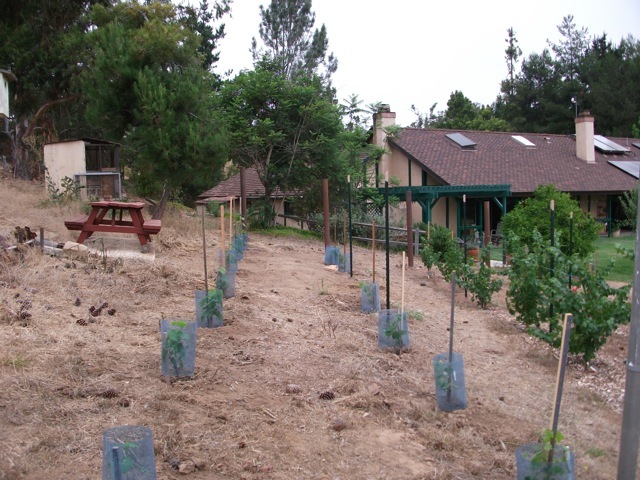 Even during Fall, there are always things to plant and plan for. We cannot forget the yams we just harvested – we got about 90 pounds of yams from just 6 yams planted in April. Incredible! Greetings from the Farm! Fall is actually a somewhat busy month in the garden, as we are still harvesting from summer and planting the seeds for late fall/winter gardens. We’re still harvesting figs, apples, corn, zucchini, tomatoes, and soon yams. 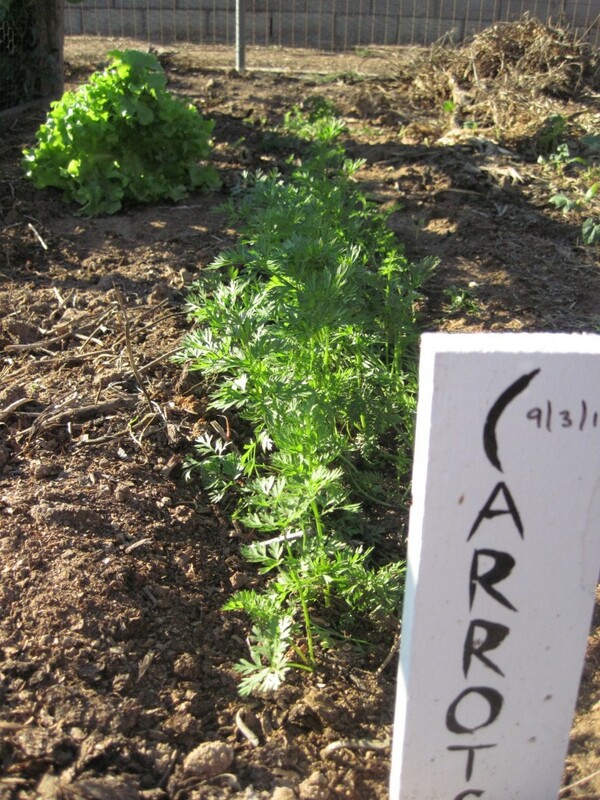 What we’re planting now are carrots, peas, lettuce, spinach, and broccoli. Next up will be onion seeds (or you can wait until the seedlings arrive in nurseries in November) and garlic cloves. Also, this year, we’ll be attempting to plant celery from seed. All of this should keep all you gardeners busy for a while! The end of summer is upon us, as the season will soon change from those nice warm summer days to the time of year when the chill starts to settle, and it gets chilly as soon as the sun goes down. Summer 2011 was another good year for the farm. While the peaches and apricots weren’t as prolific as we would have liked, the trees seem primed for a better year next year. In the absence of the stone fruit, we had great years from our other varieties of produce. We had an incredible amount of tomatoes, squash, onions, garlic, cucumbers, blood oranges, and even grew some giant watermelons. Most of these goodies made it to our porch stand, and we’re very thankful for all of you that stopped by. Like everything in life, all good things must come to an end, and as summer ends, so does the major growing window for produce. 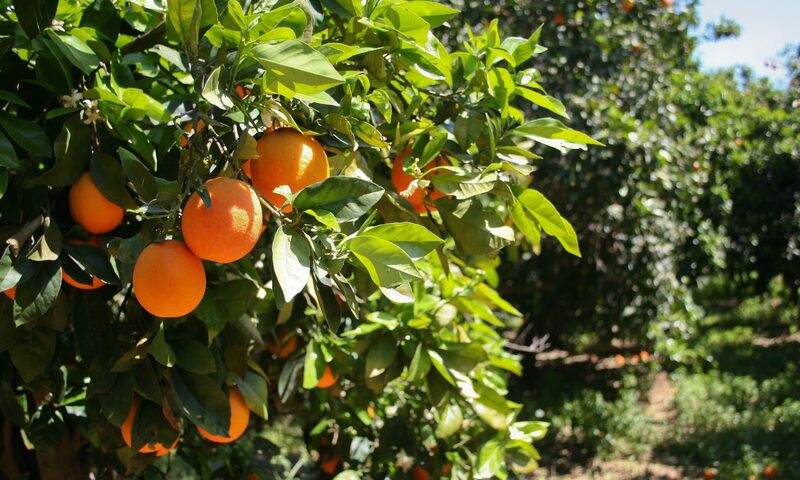 We will have a winter garden, and our blood oranges will be ready mid-winter, but the variety and amount of produce won’t quite rival summer. But that doesn’t mean we aren’t keeping busy and having fun on the farm still! 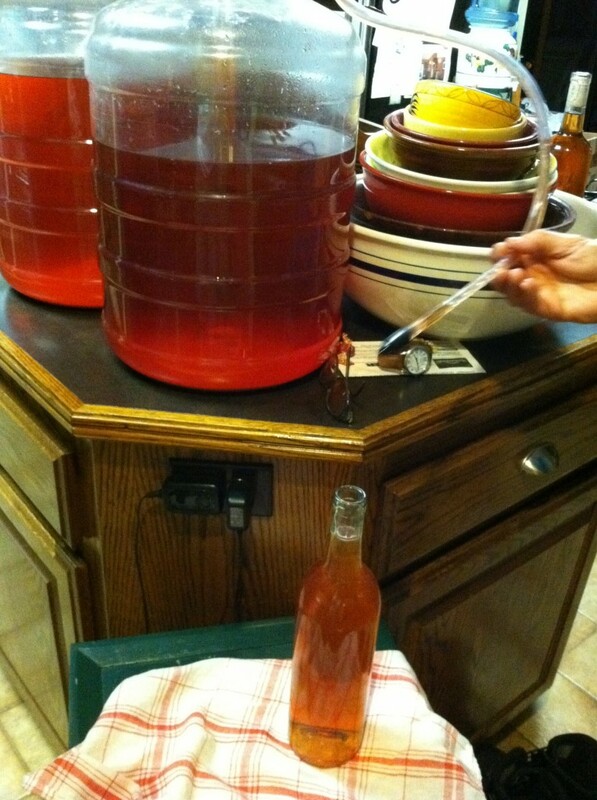 This little break allows us to do some other fun things, like making more of our own blood orange wine and also trying to make our own sunflower seeds. 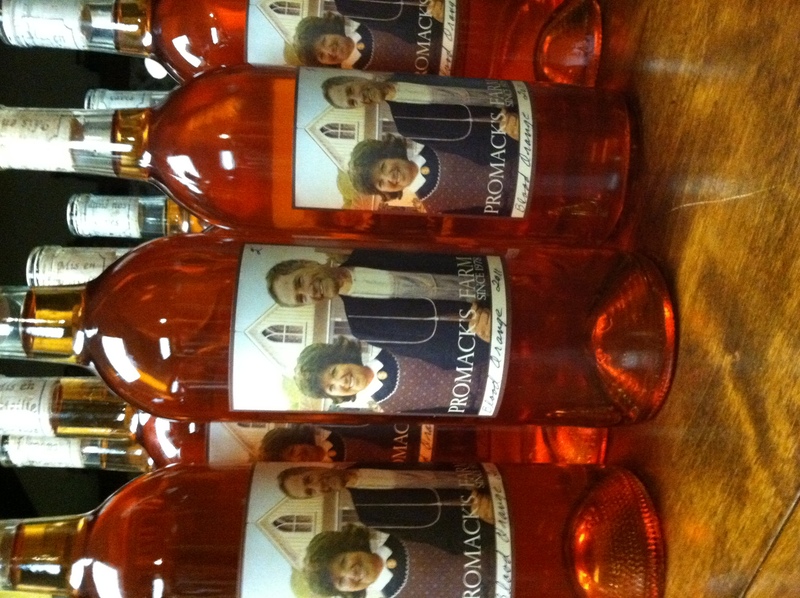 We recently bottled both batches of our latest blood orange wine. 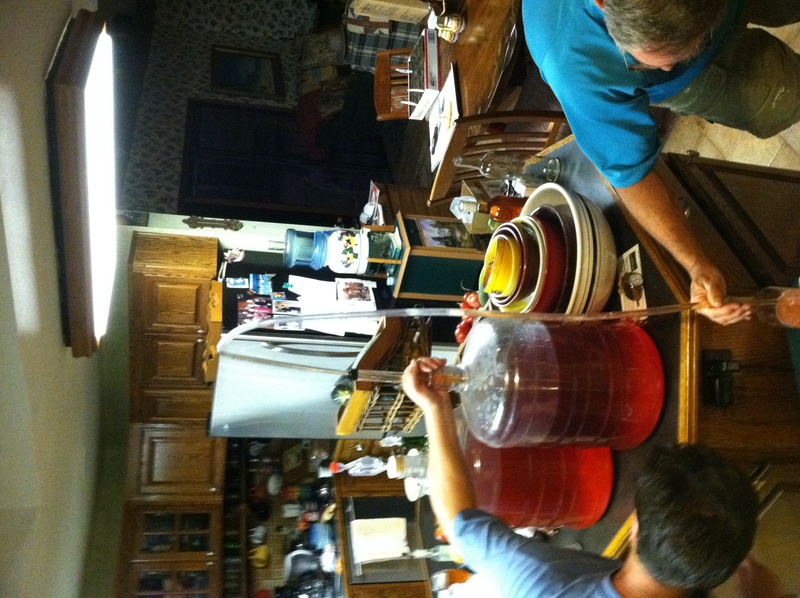 We still are trying to figure out all of the nuances, but we’re definitely having fun trying (and tasting!). 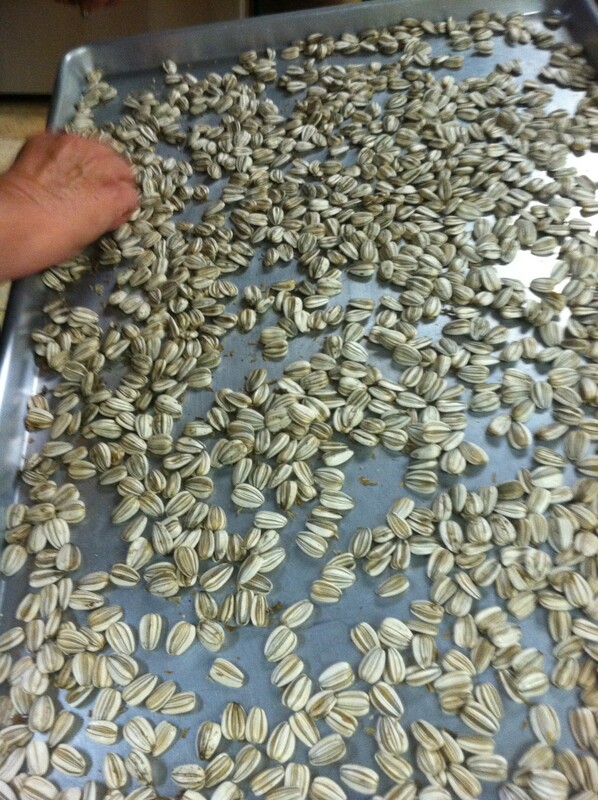 Another fun project that we’ve been undertaking is experimenting with sunflower seeds. 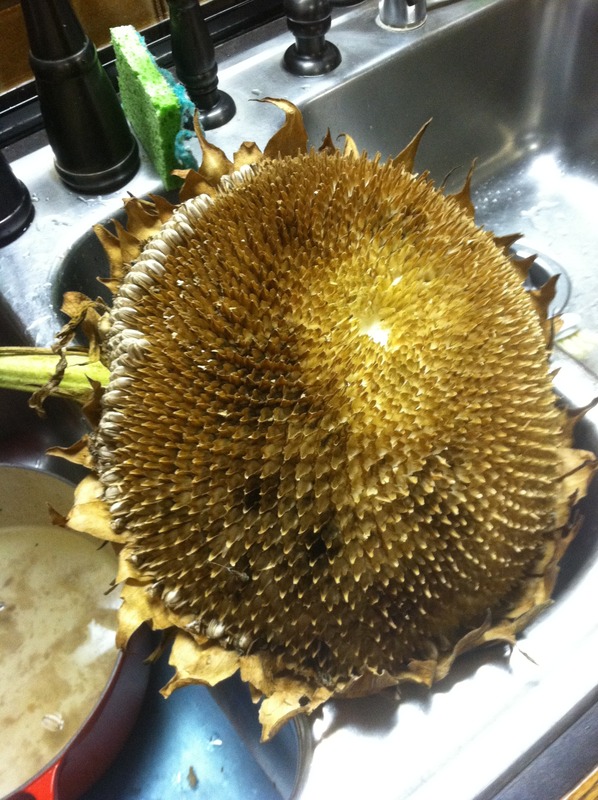 In the garden, we have some big sunflowers growing, and instead of the letting the birds pick at all of the seeds, we decided to pick the flowers and try and make our own sunflower seeds. We picked the head of the sunflower, and let it dry for a few days. Then, we removed all of the seeds and rinsed them off. Then, we let them sit for a few more days in a salt-water solution (almost like brining a turkey) and the next step will be to bake them. Will these taste anything like the seeds you buy in the store? Who knows. But it certainly gained us an appreciation into how much work goes into those snacks. So as we say goodbye to another wonderful summer on Promacks Farm, we are grateful for another good season, and hopeful for what our approaching seasons will bring. 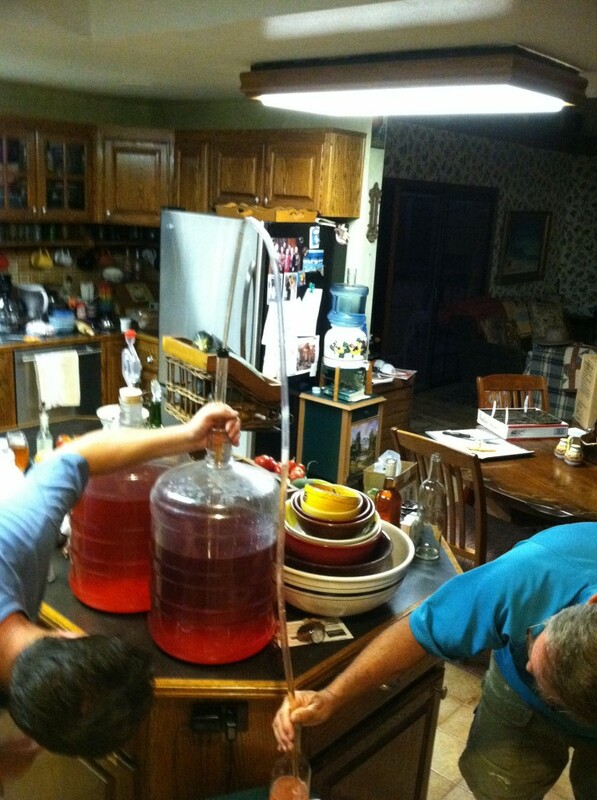 Monday night was a big night on the farm. It was time for our cow to be processed. Our longtime processor Paul came out Monday evening and did the job for us, in a quick and humane manner. We are already talking about getting another cow from him in a few months, as well as getting fresh pork since we didn’t enjoy raising pigs long ago. He recently relocated to Valley Center so we now have another local source for good meat. 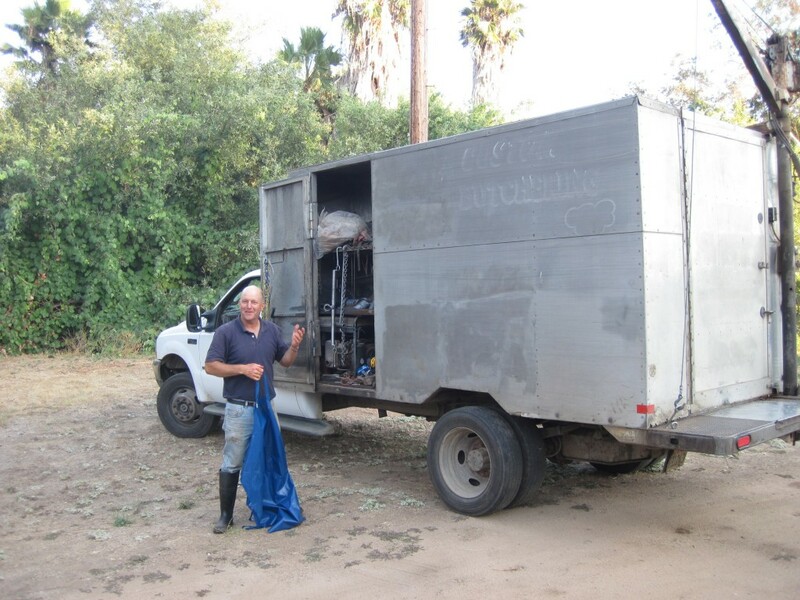 He loaded the sides of beef into his refrigerated truck, one for David and Linda, and the other for Ryan and Lindsay. 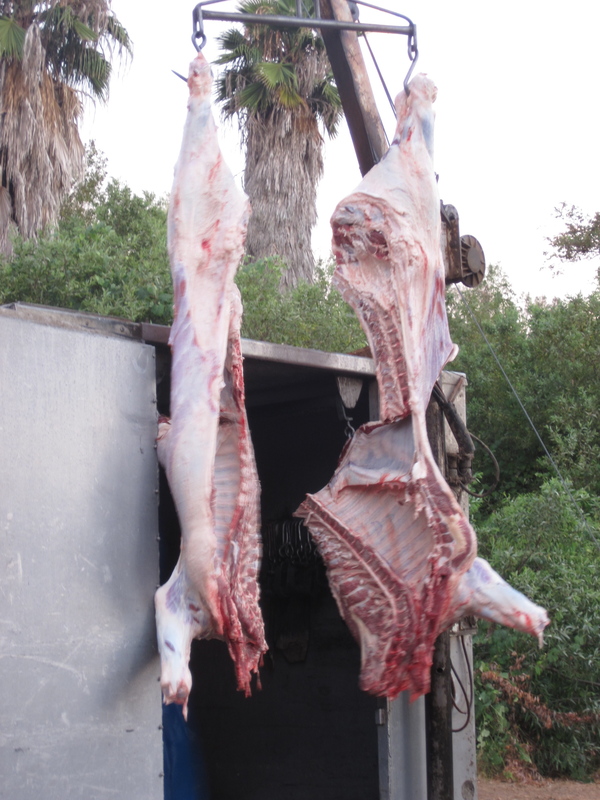 For the past few cows we’ve raised, we’ve been splitting the cost of the cow with them and splitting the meat. In about two weeks, the meat will be ready for us. Just in time too, as both of our beef supplies from the prior cow were getting a little thin. Time to get our storage freezers ready! When Do I Start Planting For Upcoming Seasons? This morning, we had a wonderful surprise customer. Our Farm Stand is about closed now, but people will still occasionally drive up to the front porch to see if anything is available. One of our long-standing Stand customers, Anna, arrived this morning with her children in tow. 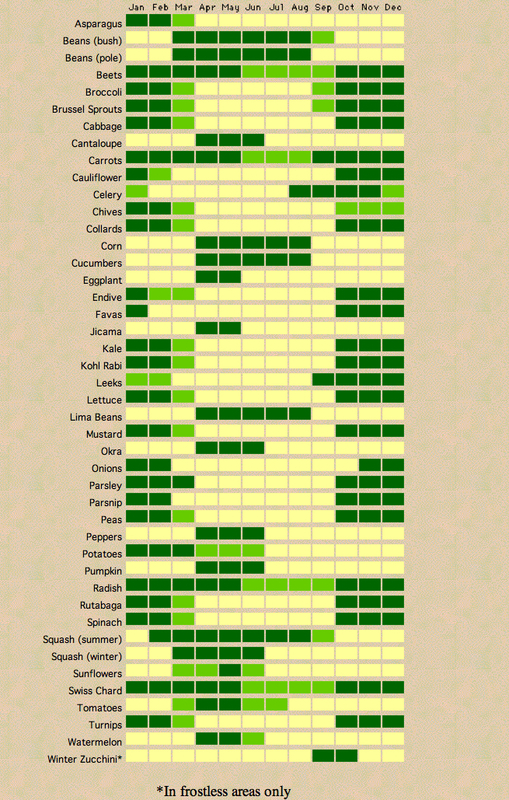 She talked with us about a wonderfully helpful “garden chart” from Digitalseed.com that helps gardeners plan when to start planting seeds for next season. Anna, we loved chatting Farm stuff with you this morning, please feel free to contact Farmer Dave at david[at]promacksfarm.com, he’d like to stay in touch and continue to talk Farm. 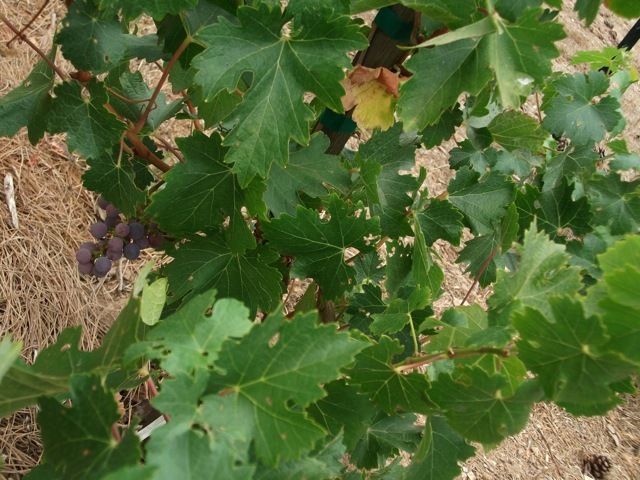 Here are some recent photos of the expanding and growing vineyard we have on our property. 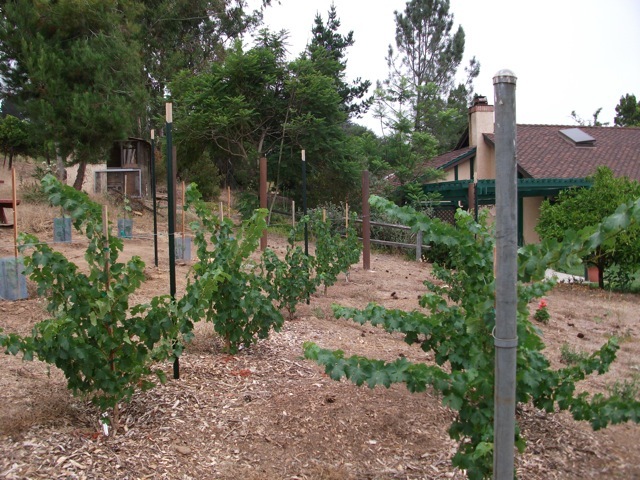 We added a few more rows of young vines to accompany our rows of maturing vines. 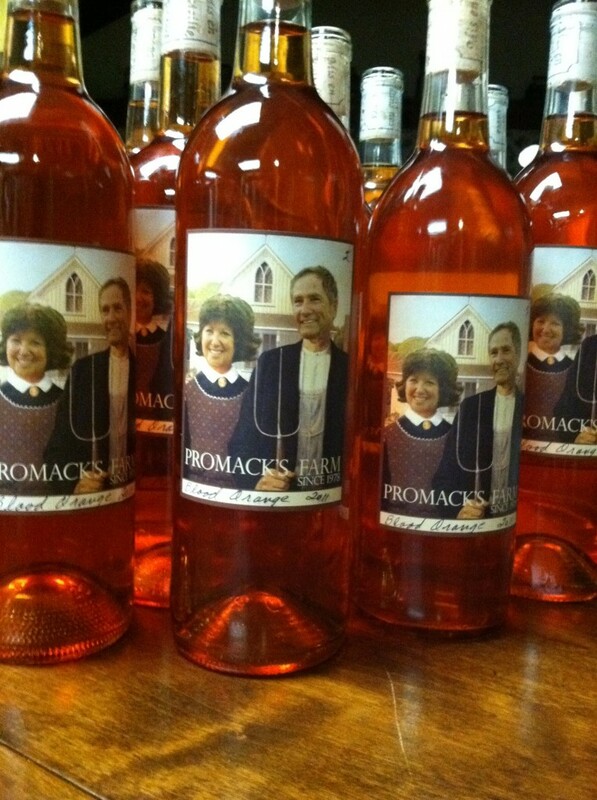 Next time you come by to purchase some Promacks Produce, you should check out our vineyard! We are out of peaches for the season. For those that picked some up, hope you enjoyed them! 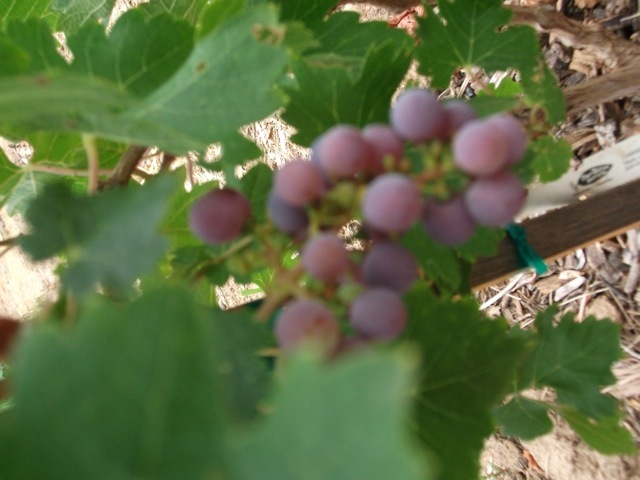 Although we are out of peaches and apricots for the year, we do continue to have other great produce! We have various veggies, including lots of tomatoes. So please feel free to continue to come by the Farm to pick up our seasonal produce. We hope to see you there. 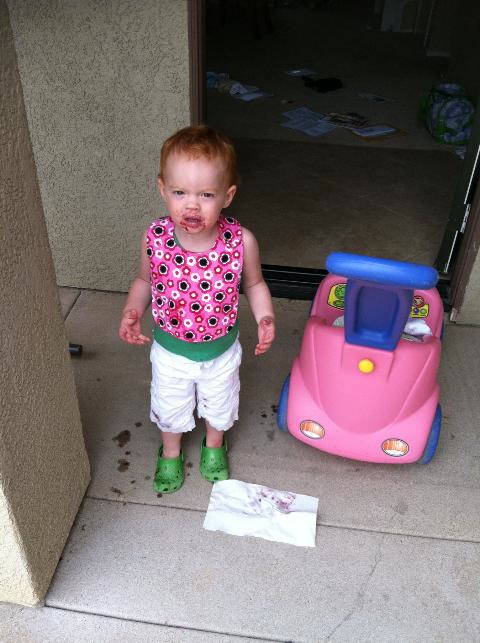 Do You Think She Liked The Plums? Looks like the answer is a definite YES. Glad Jordan liked the plums so much. And we love her outfit, by the way.